Devices running Intel's Clover Trail processors are unable to install the Creators Update. Despite the fact that Windows 10 was released only two years ago, some Intel systems could soon lose support for Microsoft's latest OS. 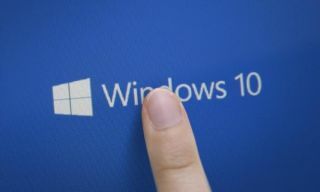 When the company first released Windows 10 in July, 2015, it was a big step forward and the decision to switch to a “Windows as a Service” model meant that users would no longer have to run outdated software on their machines. Instead users would receive constant updates directly from Microsoft without having to purchase a substantial paid upgrade every three or so years. However, systems running Windows 10 will only receive updates from the company during the supported lifetime of the device. This is a significant change from Microsoft's previous policy where devices sold running Windows would be guaranteed five years of security and feature updates followed by five years of security-only updates. Now the first systems to be affected by Microsoft's new security policy, that stops updates based on the supported lifetime of a device, have emerged. These Clover Trail systems likely shipped with Windows 8.1 and were then later updated to Windows 10. Had the owners of these systems stuck with the previous version of Windows they would be eligible for the company's previous security policy but by upgrading to Windows 10 they will now only receive security updates for the next 18 months. While devices running Intel's Clover Trail were the first to be affected by Microsoft's new security policy, more systems will likely be affected going forward unless the company decides to revert to its old policy.